For many of us in North America, grass is our default planting. If we can’t figure out what to do with an outdoor space, we plant grass, for grass, we assume, can grow anywhere. But turfgrass is simply not the best planting for many sites. It needs mowing, it needs water, it wants fertilizer, many types don’t like shade — it’s pretty picky stuff. It takes a lot of work, water, and fertilizer to keep a lawn looking good. 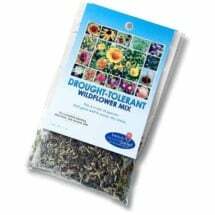 Fortunately, there are any number of lawn alternatives that require less work and less water, and many demand far less in fertilizer. Some such as stonecrops are perfectly happy on dry stony slopes that would defeat any grass; some, like the mosses, actually prefer the damp shade under trees where grass grows only reluctantly. Mosses, thymes, yarrow, chamomile and others perform most of the functions that turf-grass does: you can mow them, walk on them, barbeque on them, whatever. The mosses and thymes, of course, don’t even need mowing. Most are not as tough as grass and won’t stand up to soccer games, but in areas that don’t get a lot of traffic, they make a lovely and low-stress alternative to turfgrass. 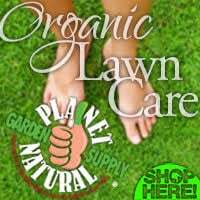 If you can make the mental leap to a mixed lawn, they can help to keep lawns green and lovely without the fertilizer and water required by grass. Learn more about Smart Replacements for Your Lawn here. Getting rid of all the grass even in a small area and installing a new, different, planting can be a major undertaking, of course, but in most cases the investment will pay off within a season. If you’ve chosen well and cared for the new plantings in their tender youth, they’ll do far better, and therefore look better, than struggling grass. 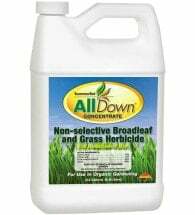 This section covers only a few alternatives, suitable for areas where grass either requires more than its share of resources (in time, money, water, amendments, you name it) to do well, or where it refuses to flourish no matter what you do. If you get interested in planting an alternative under trees, under pines, or on a boulevard that bakes in the sun all day, there are more complete lists, and more resources available, both online and probably at your public library as well. Check out the partial list under Sources and Resources on this site. Ornamental grasses differ from turfgrasses in that they’re not meant to be mown. Instead, they grow into distinctive shapes — tufts, sprays, and stands, or flowing, shimmering sweeps. Instead of drooping, many species remain upright and attractive through cold weather and even in snow (see Landscaping with Native Grasses). Many ornamentals are bunch or clump grasses, meaning that their roots don’t put out rhizomes or stolons (horizontal shoots which can start new plants) but depend on seeds to reproduce. (See Creeping vs. Bunch Grasses on this site.) Clump grasses used in turf, such as fescues, can blend together into a smooth, continuous surface, but ornamentals tend to produce tight, well-defined bunches. An individual grass plant does get gradually larger as new shoots grow around the base of the parent plant, but each individual, one might say, retains its integrity. Turf grasses generally get mown before going to seed, but ornamentals are another story and have gained a reputation for being invasive. However, many believe that most problems with invasiveness occur when the problem plants are not suited to their new environment. Take a non-invasive prairie grass, give it a longer season or too much water, and suddenly you’ll have something quite different, and probably unwelcome, all over your yard. Some of the worst offenders, like ribbon grass (Phalaris arundinancea), are in fact running grasses, not bunch grasses. (Running grasses are also known as “creeping” grasses, but in the case of ribbon grass, “running” appears to be more accurate.) Frequently chosen because it spreads so rapidly, ribbon grass is extremely difficult to control and often turns out to be more trouble than it’s worth. The clumping grasses can be kept in check in several ways. 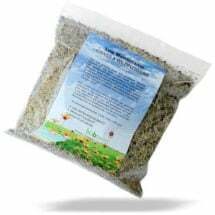 The first and most important is to buy a grass appropriate for your region, and to tend it so that it will not produce excessive seeds. Don’t over-water, and don’t grow a cool-season grass in a warm season district, or you may have problems. Native grasses almost always work well. When you set the grasses, plant them through professional-grade weed barrier, which you can then cover with mulch. The fabric will keep out weeds and seeds — including those of the grasses. This won’t keep seeds from drifting on the wind, but it makes all the difference in the immediate vicinity. 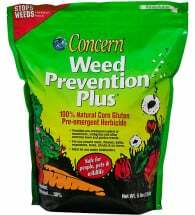 Finally, the coup de grass for seedy invaders: buy a sterile strain that can’t spread — no matter how many seeds it produces. Moss. In lower, cooler areas, moss can make a beautiful groundcover. It is not as resilient as most grasses, but it’s certainly able to withstand occasional foot traffic. You can establish a moss bed by setting plugs (small pieces of moss complete with roots) into soil about six inches apart and keeping them damp. If you’ve selected the site well, the mosses will spread until they form a solid surface, often within one growing season. 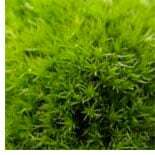 There are a number of different mosses, of varying textures and thickness, which can suit a range of purposes and appearances. Moss is also used in environment-friendly roofs where it provides insulation and moisture run off. Note: Because it spreads so willingly and can be so difficult to remove, it’s best to put it in a contained spot, surrounded with a wide and impermeable border. 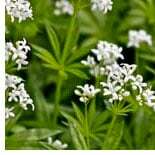 Snow-on-the-Mountain, Lily-of-the-Valley, Sweet Woodruff. 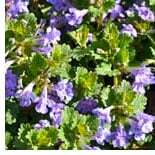 All three of these perennial shade-loving groundcovers require little by way of watering or other care and form a dense weed-resistant canopy of leaves and flowers. They are therefore excellent choices for those narrow passageways between a path and the north side of a garage, for instance, where you want something that looks planted, not accidental, but where you do not want the bother of mowing, much less fertilizing, aerating, and so on. Thyme. 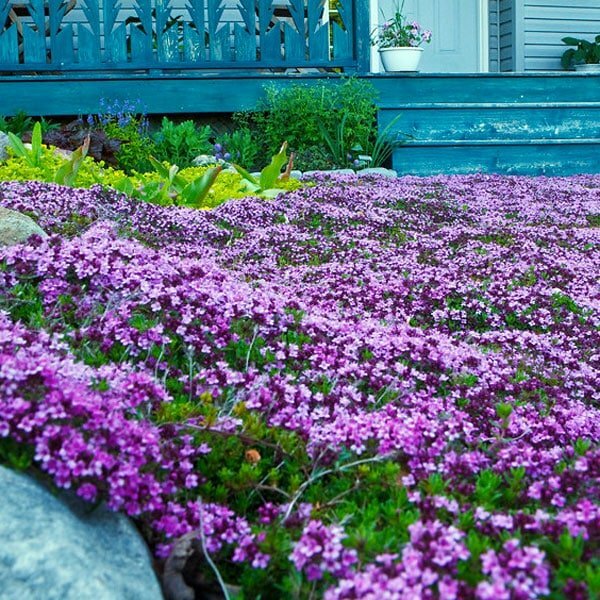 Several varieties of thyme will form dense, ground-level mats in sunny or partly-sunny locations. 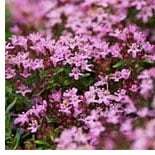 Their tiny-leaved foliage varies in color from bright green to bluish or grey green, but when they flower, they can appear as a carpet of pink or lavender. 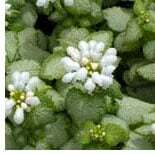 Known as “walkable” groundcovers, they tolerate a low level of traffic, spread easily, and will grow over or around flagstones, so they are ideal plantings in paths. 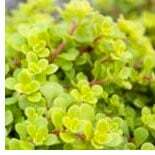 Thyme spreads easily, requires less water than grass, and is hardy all the way north to zone 4 if it’s healthy. Here’s how to grow this attractive, drought resistant herb instead of grass. Anemone. I have yet to see this delightful late spring and fall bloomer listed as a ground cover, perhaps because it has such tall and showy flowers (nearly 2-inches across), but it certainly acts like one, at least in my Rocky Mountain back yard. 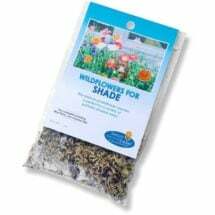 Spreads by creeping rhizomes and tolerates a variety of soil conditions, partial shade to sun, and dry soil. 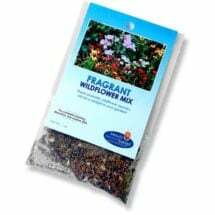 Also known as windflower, it is an excellent choice for rock gardens and wooded areas. Hardy in zones 4-9. 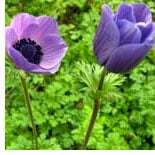 Note: Anemone plants are poisonous if consumed in large quantities. Stonecrop. Stonecrops, which include a number of the many sedums, vary widely. Some of the several species of stone-crop have succulent foliage that ranges from green through yellow to red. Flowers, too, range in height, showiness, and color. Those native to the Rocky Mountains, include several low-growing species that tolerate poor, stony soil, hot, dry, summers, very cold winters, typically alkaline western dirt, or the more acidic soils under open pine trees. While some varieties grow several inches tall and would be crushed by footsteps, others grow almost flush to the ground. White Nancy, Pink Nancy, Anemone, Stonecrop, Sweet Woodruf. All of these perennials grow in partial shade under open pines, as long as they’re watered occasionally in the heat of summer (see Planting Under Pine Trees). White and pink Nancy have mounding foliage that appears grey or silver-green, an impression created by white spots on the leaves. 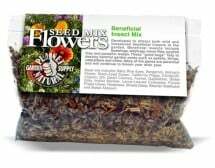 The flowers reach above the leaves in small bunches or clusters that appear first in early summer; the plants can continue to flower on and off through the season depending on conditions. Hardy in zones 3-8.
Who said flowers have to be tall to have a big impact in your yard or garden? 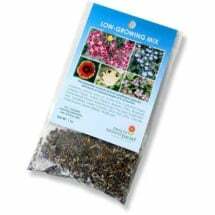 A blend of annuals and perennials that are ideal for areas with low rainfall. 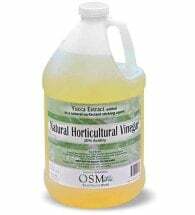 Use to attract "good bugs" that help to destroy harmful plant pests.